Our consultants are BASIS, FACTS, BETA and BASIS Soil & Water qualified. 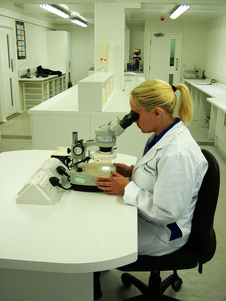 Specialist Agricultural Laboratory Service. Offering analysis of Potato Cyst Nematode (PCN) samples, loam, manure and poultry manure. We can also arrange water sample testing. Tel: 01205 722755 . Fax: 01205 723754 .